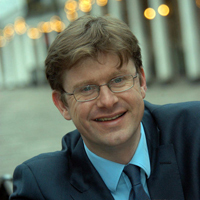 Greg Clark has been made minister for science and universities as part of Prime Minster David Cameron's cabinet reshuffle, likely to be his last before next year's general election. Clark, the Conservative MP for Tunbridge Wells, replaces the widely respected David Willetts to take on responsibility for areas such as the life sciences, research and innovation. An MP since 2005, Clark was appointed minister for cities in July 2011 and financial secretary to the Treasury in September 2012. Before entering politics, he worked for the Boston Consulting Group and has also worked as head of commercial policy at the BBC. The changes also saw George Freeman, a former life sciences adviser to Willetts, handed the role of minister for life sciences, a joint ministerial position for both the Department of Health and Department of Business, Innovation & Skills. This #reshuffle is about putting in place a team that continues to deliver the long term economic plan & ensures a brighter future for all. Meanwhile, the news of Clark's replacement of David Willetts prompted many from the UK life sciences sector to pay tribute to the former science minister. Willetts truly understood “what it takes to turn the UK's fantastic science into the jobs, health and wealth the UK needs in the coming decades,” Bates added. His comments were echoed by the likes of Prof Sir Colin Blakemore, professor of neuroscience and philosophy at the University of London, who said the scientific community owes Willetts “a huge debt”. “Despite the fact that he's not a scientist, he went native. His personal affection and enthusiasm for science have been crucially important in sustaining the government's commitment to science through challenging times. We all hope that his departure doesn't signal a reduction in that commitment," Blakemore said.